Did someone say August?! Keep cool with the offerings from the NewNew at our regular gigs (along with some sweet, cold, delicious treats)! This amazing location has gotten some terrific press and if you haven't been yet, now's the time! Read all about it here. Cooldown tip: The Blue Marble Ice Cream Truck is there Friday-Sunday and Mr. Softee, too. Click here for a map. 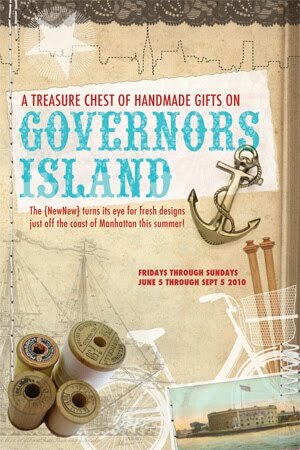 The NewNew will be at the Brooklyn Flea on Saturday from 10:00-5:00. It is located at 176 Clermont at Vanderbilt. NewNewCrafters: Muppetloon, Dwell Deep, and Purty Bird. 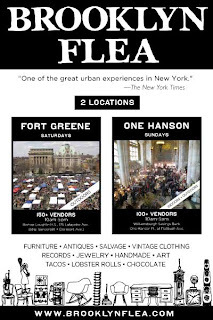 Cooldown Tip: People's Pops and Blue Marble are also mainstays at the Brooklyn Flea. Yum! 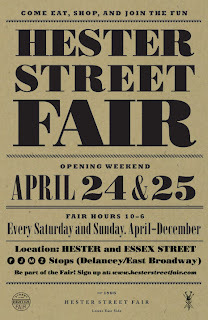 Join the NewNew at the Hester Street Fair on Saturday and Sunday from 11:00 - 6:00 at the corner of Hester and Essex. 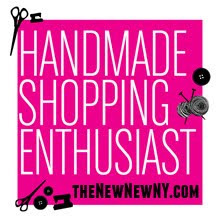 On Saturday, see Irene C. Studio, Enchantragirl, and Allene La Spina. On Sunday, Designs by Aliza, Wish by Felicity, and Saskia DeVries will be there. Cooldown Tip: Ok, maybe not strictly in the cooldown category, but ya gotta visit the Doughnut Plant, right around the corner on Grand Street. Until next time, keep cool!